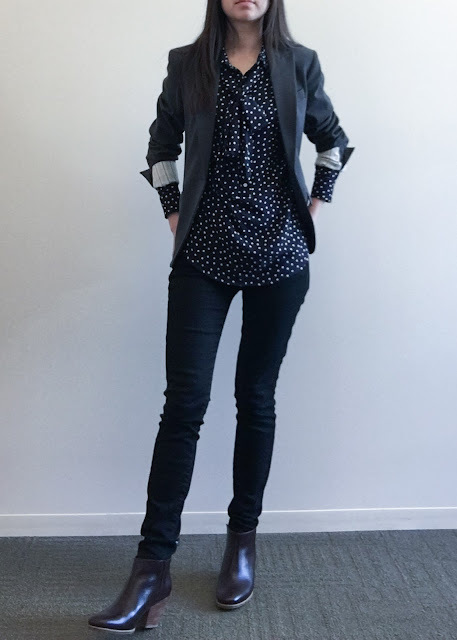 I'm also all over the dark color-palette-spectrum here as well, as well as with polka dots and stripes: the top is navy, the jeans are black, the blazer is grey, and the boots are actually sort of maroon. 1. 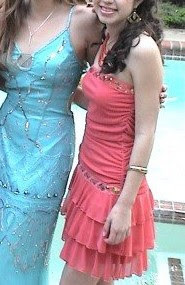 Apparently it is prom season, and there are so many articles featuring blast-from-the-past prom pictures: like this one from Man Repeller, and this one from Fashionista. 2. 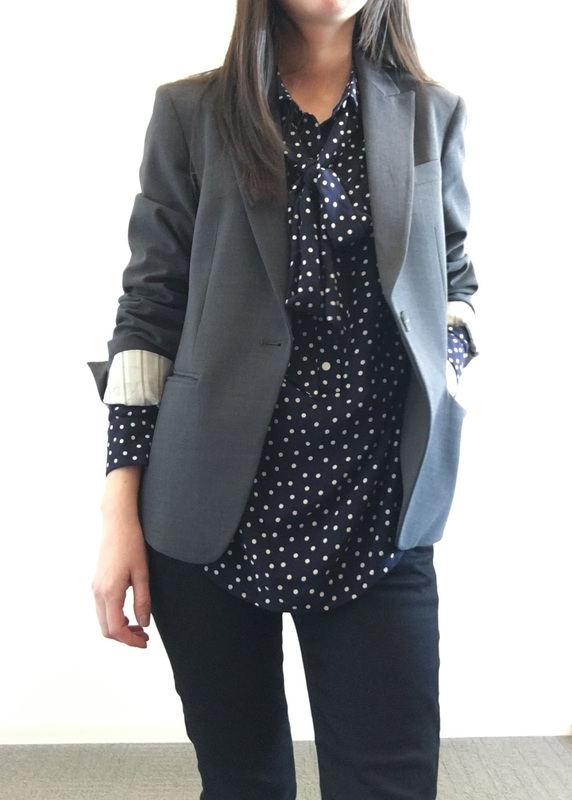 Also, from Fashionista, I appreciated this compilation of ethical clothing resources. 3. I've seen this article mentioned a few places, it is an examination of if Beyonce is fostering an unattainable ideal with her pregnancy. I really enjoy all things Beyonce and honestly, would be surprised if she approached her pregnancy with anything less than the typical creative juice with which she presents her life to the public (NYT). 4. 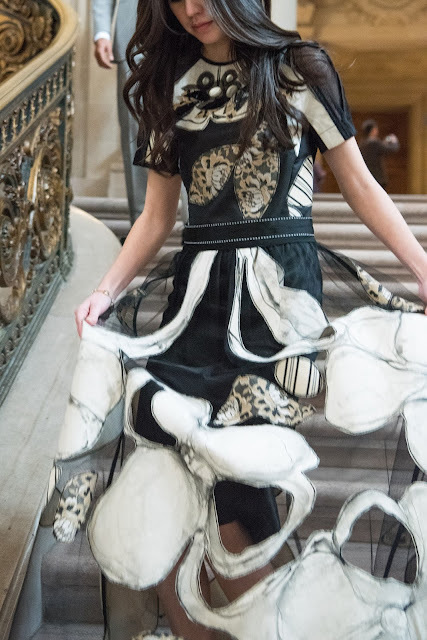 Lastly, in honor of Monday's Met Gala a look at last year's best dressed, and an interview with the woman of the hour, Rei Kawakubo herself (GoFugYourself and Vogue, respectively). 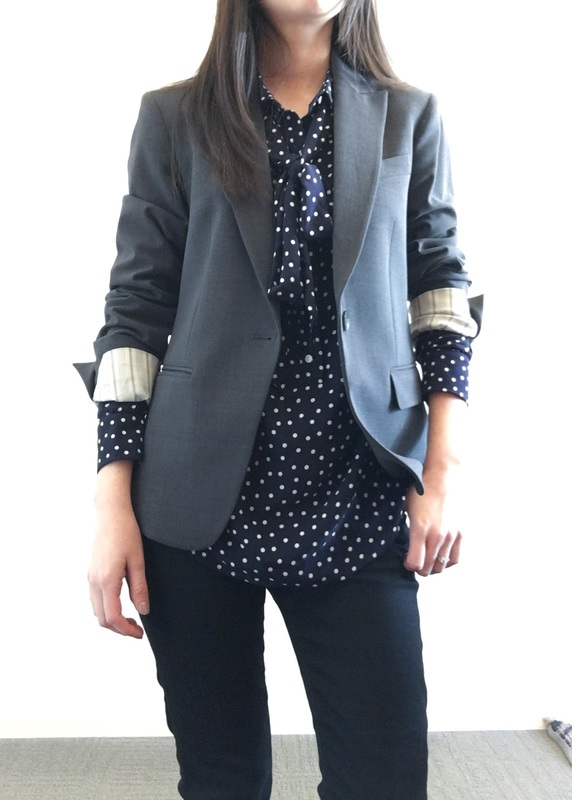 I really like the way you cuff your blazer sleeves and showing a bit of your shirt :) And yes! 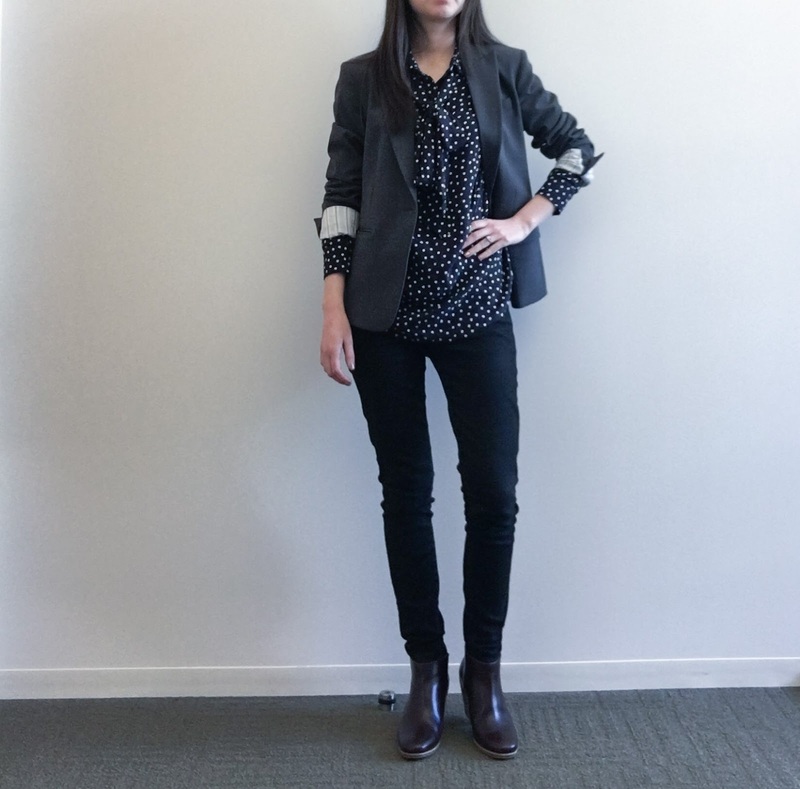 The combination of the boots and the skinny jeans make your legs look long. 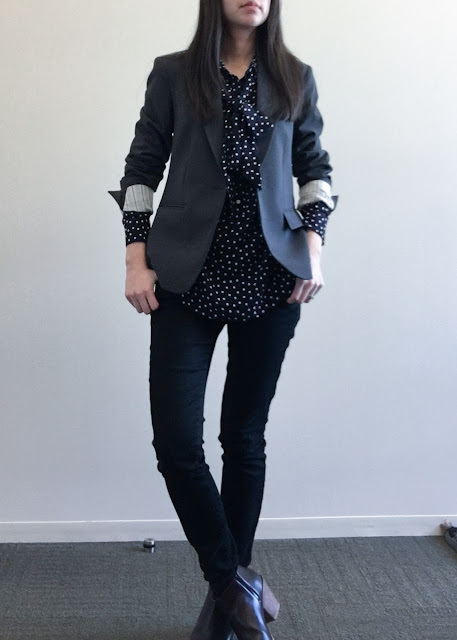 I like this ensemble a lot! Thanks! I love blazers with interesting linings and it is always fun to contrast them with my tops.